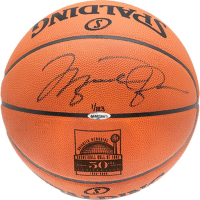 Hall of Fame 50th Anniversary logo Spalding basketball has been hand-signed in black felt-tip pen by Michel Jordan (Bulls HOF). Hand-numbered limited edition #123. 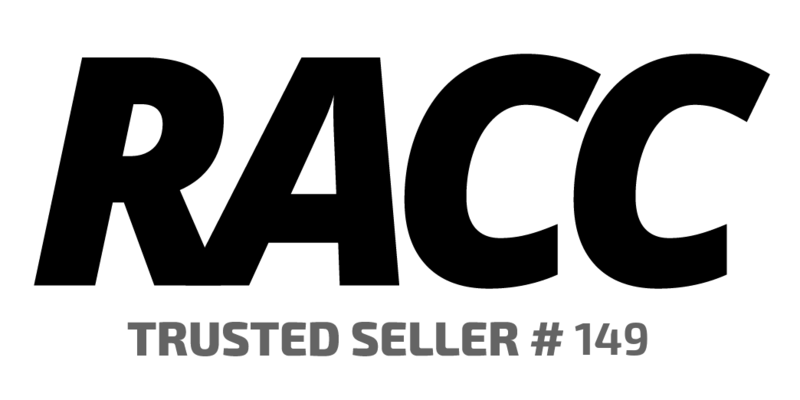 One of the most accomplished players in NBA history, Michael Jordan has six NBA championship rings, five NBA MVP awards and a long list of records to his credit. Celebrate Michaelâ? 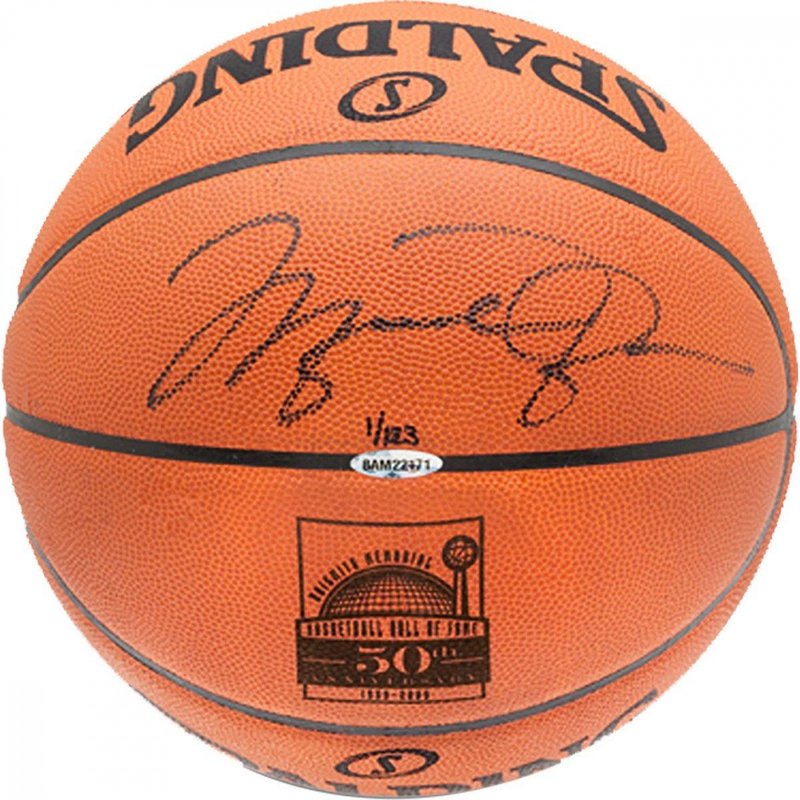 ?s legendary career and 2009 induction into the Basketball Hall of Fame with this limited edition (123), autographed basketball emblazoned with a 50th Anniversary Hall Fame logo.